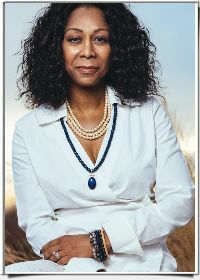 As a Spiritual Lightbody Mentor and Metaphysical practitioner, Dr. Edwige helps you integrate higher conscious experiences into your everyday life, improving your one-to-one connection to God-Self. She regularly combines the principles from her studies and experiences with her spiritual guides to bring you the lessons you need to awaken the light within. She holds within her being the Template of the Lemurian Seed. These seeds are part of the core of the soul’s essence that is sourced from within the galactic core. And they are the keys to helping position you for “Ascension” and allowing you to get back on track by returning to your original Divine Blueprint. The importance of integrating your soul and Lightbody to bring your physical body into alignment with health and well being. Learn How to Living in Your Light will Manifest Your Desires!! Dr. Edwige Special Q and A Session! Listen to Dr. Edwige’s First Call!